How Far is Sai Sunny Heights? Shirdi Sai Sunny Heights Apartments, aims to enrich lives by setting new standards for customer centricity, architectural design, quality, and safety. These Residential Apartments in Bangalore comes with a view that is unbounded and captivating. Every nook and corner of the Shirdi Sai Sunny Heights reflects beauty in its true sense. Shirdi Sai Sunny Heights by Shirdisai Builders in Kodigehalli ensures privacy and exclusivity to its residents. The ambiance of Shirdi Sai Sunny Heights is truly a marvelous sight to behold. Shirdi Sai Sunny Heights is one of the best investments in Residential properties in Bangalore. The Apartments in Shirdi Sai Sunny Heights are strategically constructed keeping in mind the best of architecture both from inside as well as outside. From stylish flooring to spacious balconies, standard kitchen size and high-quality fixtures, every little detail here grants it an attractive look. 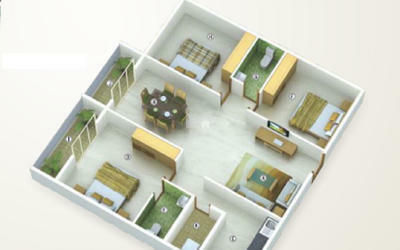 Shirdi Sai Sunny Heights offers beautiful 2 BHK and 3 BHK Apartments in Bangalore. 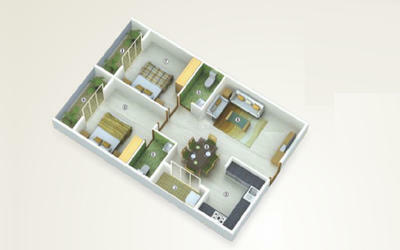 The price of Apartments in Kodigehalli is ideal for the home-buyers looking for a property in Bangalore. RCC structure framed designed to IS code using M30/M25/M20 of design mix concrete. Internal walls: 4" thick solid cement concrete blocks. Balcony and utility doors: UPVC with clear glass and mosquito mesh. 3 Track UPVC window shutters with mosquito mesh and MS safety grills. AC points for master bedrooms only. Internal walls: Smooth plastering finished with wall care putty rendering. Washing machine point in utility areas. Provision of geyser point in all toilets. Water supply through borewell and submersible pump. Under ground and Over head storage tanks of suitable capacities. CPVC plumbing lines of Ashirwad or Astral make. Two no. of 6 passengers automatic lifts of Kone/Johnson or equivalent with ARD System. 1 KVA power backup for all flats. Additional power backup for lift, water pump and common area lightings. Vitrified tile flooring for living, dining, kitchen and all bedrooms. Anti skid ceramic tile flooring for balconies, utilities and toilets. Asian enamel paint for all other doors. Intercom facility connected from security cabin to all flats. CCTV surveillance cameras in parking and security areas. One stilt car parking space for each flats.